The title of the games says it all. 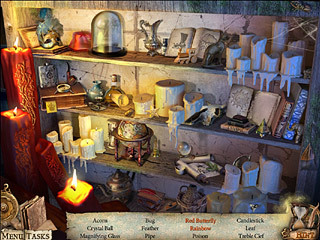 Reincarnations: Back to Reality is one of the newly released hidden object adventure games. The game is totally Buddhism based according to the first part of the name. And the second part is about the problem of you being trapped somewhere in between death and life. She actually finds herself in some sort of library (who would have thought, right? ), but accoring to this game, that's where you go. You play as a young woman driving in her car as she suddenly meets a number of humal-like beings trying to kill her. Those represent different forces and at the end she finally leaves this world, but it is not heaven where she finds herself either. She actually finds herself in some sort of library (who would have thought, right? ), but accoring to this game, that's where you go. She meets there a lady who kindly tells her that she has to go back to all her reincarnations in order to fix all her mistakes. This is supposed to make her karma new again and then she will be able to go back to her life again. The general atmosphere of the game is mysterious and airy when you are in that place in wetween. Then you get to go to different locations and times. All in all the graphics are beautiful and the voices sounds great too, where there are any because not all dialogues are voiced. As to the gameplay, the game features the typical partd of all the games of this genre. There is a great number of hidden object scenes, and there are some puzzles along the way too. 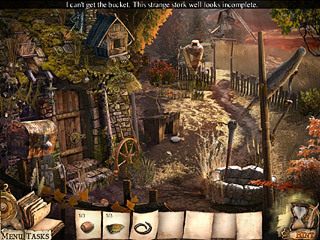 The interactive part is the general background of the game. The game isn't eatremely easy, and the challenge level can be increased by choosing a different difficulty mode. There is also additional content for those who reach the end of the game. It includes some wallpaper, art, an additional level etc. This is Reincarnations: Back to Reality CE for Mac OC review. Download this game here.